You know how I feel about soccer, especially when it comes to on-field injuries. But after watching THIS video, I’m pretty sure the guy was in some kind of pain. 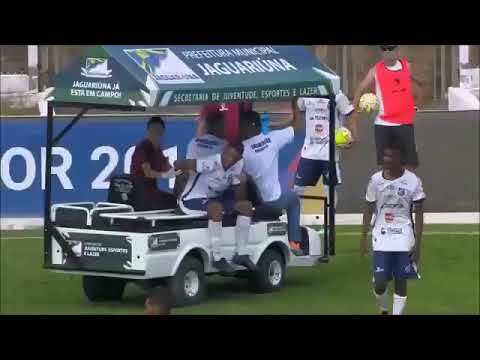 A player at a Brazilian youth cup game was injured and lying on the grass waiting for the medical cart to arrive. And when the cart got there . . . it RAN OVER his foot, which caused him to curl up in pain. The good news is, he wasn’t seriously hurt, and eventually returned to the game.